The process of optimization entails a detailed understanding of the targeted markets and your online business. Conduct a website analysis to determine the Meta sets and codes required to position your website for the search engines. Also, conduct a competitive analysis to find the keywords and Meta sets used by the competitor websites. Here, you can pick the top five results on Google for your targeted keywords and analyze them. Lastly, you should also lay focus on developing a list of prioritized keywords related to your niche and targets. It is a crucial step in the process of optimizing a website. It starts with a detailed keyword analysis where you need to identify the targeted list of keywords and key phrases. You should also review the competitive industry resources to determine the number of search queries generated and rankings for each target keywords. Understand the baseline ranking assessment for the future rankings. Most importantly, clearly define your objectives and measure your ROI at regular intervals. 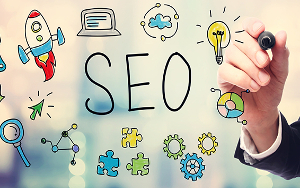 This is the most important step to know when understanding ‘how to SEO my website’. For content optimization on your website, create proper page titles by integrating the relevant keywords into them. It is equally important to create the Mega tags for improving the click-through rate of the site. Another significant step is to place the keywords strategically throughout the pages. Integrate it into the source code and the content on the landing pages. Also, write informative, unique, and engaging content to bring more traffic. You should also consider submitting your website to the online directories for getting more backlinks. Last but not the least; you should consistently test your website by analyzing the search engine traffic and ascertaining the efficacy of your campaigns. An ongoing modification and assessment can help in improving the content and design according to the latest requirements of your website. Also, you should review the link strategy on a regular basis. These are some basic steps for optimizing your website for the search engines.